Residential schemes with more demand than supply are still experiencing significant price growth. Findings are based on the latest transaction activity in the 2018 residential sub-sale market. Latest sub-sale property data shows that double-digit capital growth for certain residential properties is still very much possible. 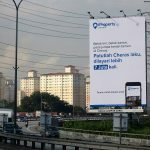 iProperty.com.my has taken the liberty to source transaction data from the Valuation and Property Services Department (JPPH) and compile them accordingly to reveal Malaysia’s top 5 residential properties in terms of capital appreciation, for both the landed and high-rise categories. For the sake of length, we will be splitting this editorial into 2 parts, where the Top 5 condos will be covered here while the Top 12 terraces will be revealed in another article. The top 5 condos below are ranked according to the highest year-on-year growth in property value/capital appreciation in 2018 (November 2017 to October 2018) in comparison to 2017 (November 2016 to October 2017). We also shared the median capital appreciation figures for all the condominiums in that specific area, so that readers will be able to see how well each winner fared in comparison to the neighbourhood’s overall performance. READ: What is capital growth & how is it calculated? So, let’s take a look at the high-rise projects that have performed the best over the last 12 months (up to October 2018). Units: 252 units over 5 acres land area; 1,056 – 2,282 sq ft.
Facilities: Covered parking, swimming pool, barbecue area, gymnasium, Jacuzzi, children’s playground, jogging track and mini market. With such spacious layouts coupled with its low-density development, D’Suria’s median PSF of RM220 is very affordable for Klang Valley standards. Not forgetting the fact that it is roughly 40% lower than Ampang’s median PSF of RM365. Hence, it is no wonder why owner-occupiers would have jumped on the opportunity to purchase into this family-friendly development. Nevertheless, the “below market value” price could be attributed to the condominium’s sub-par building conditions. As detailed in a popular public forum, there were numerous complaints made by initial purchasers sometime in 2013-2014 over unit defects in particular, regarding exposed pipes and leaking problems (although it is worth mentioning that there were no major structural defects, latest reviews deem the building satisfactory and its facilities in good condition). When first launched in 2011, D’Suria was selling at roughly RM380 PSF. The defects in question would have caused its value to plummet, thus explaining the initial low median PSF of RM154 in 2017. These issues were attributed to the developer’s lack of funds and changing of sub-contractors. On the flip side, the uptick in transaction activity and median values show that there are purchasers who are willing to settle for less-than-satisfactory building conditions (though original owners would have already invested in the fixing of defects within the units), in return for the condominium’s generously-sized units and low-density offering, as well as for its strategic location. D’ Suria is surrounded by major highways such as AKLEH, DUKE and the MRR2, where KLCC is a 10-15 minute drive away. Closer still, the Ampang Point Shopping Mall and Great Eastern Mall are a mere 1.5km and 2.9km away respectively, while the Ampang Hilir Park situated 2.5km away serves as a convenient family recreational spot during the weekends. 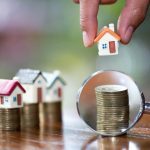 What is capital growth & how to calculate it? Address: Jalan Sayang 1, Taman Rasa Sayang, 43200 Batu 9 Cheras, Selangor. Units: 596 units over 3 blocks and 9.88 acres of land; 1,127 – 1,557 sq.ft. Facilities: Swimming pool, water lounge pool, bubble pool, herb garden, six senses path, gymnasium, sundry and laundry shops, nursery, multi-purpose hall, BBQ area, reading room, cafeteria, as well as basketball and badminton courts. 1) Paying tribute to its name, Green Residences offers gorgeous views and a holistic living environment as it is surrounded by a forest reserve and is located 110 metres above sea level. 2) Great facilities – Besides having a jogging track, 8-lane swimming pool, mini water theme park for children and a clubhouse – 3.9 acres is reserved for landscaping which features thematic gardens and parklands. Looking at the video below, the development certainly delivers what it promised; the whole facade and feel of Green Residences is as what was advertised to purchasers. 3) It is built in compliance with GBI (Green Building Index) certification requirements, making it a low carbon footprint and energy-efficient building. Units are generously sized too and designed with family living in mind, with 3 bedrooms spread across at least 1,127 sq ft. The bigger units feature a maid’s room and a pocket garden as well. For added security, a panic button is installed in each unit’s living hall and master bedroom. Green Residence checks the box in terms of accessibility as well; it is strategically located along the Grand Saga Highway (Cheras-Kajang link) and is also served by other major road networks such as the Middle Ring Road 2, the East-West Link highway and the SMART highway. Also, the Taman Suntex and Taman Connaught MRT stations are just 1.9km and 2.2 km away, respectively. Considering that Cheras was the most searched for residential neighbourhood on iProperty.com.my in 2018, it is interesting to note that consumer demand matches the residential market movement. 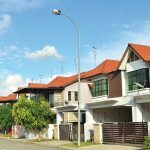 Attractive pricing, improvements in infrastructure and great accessibility to various conveniences are some of the reasons why Cheras is on the radar of Malaysian home hunters. Address: Jalan Berlian 8, Taman Bukit Kaya, 70200 Seremban, Negeri Sembilan. Units: 3 blocks (9-storey towers); 1,100 – 1,688 sq ft.
Facilities: Swimming pool, gymnasium, sauna, squash court, playground, 24 hour-security. Le Renaissance is a great example of how ‘old is gold’ and that new does not necessarily mean better. 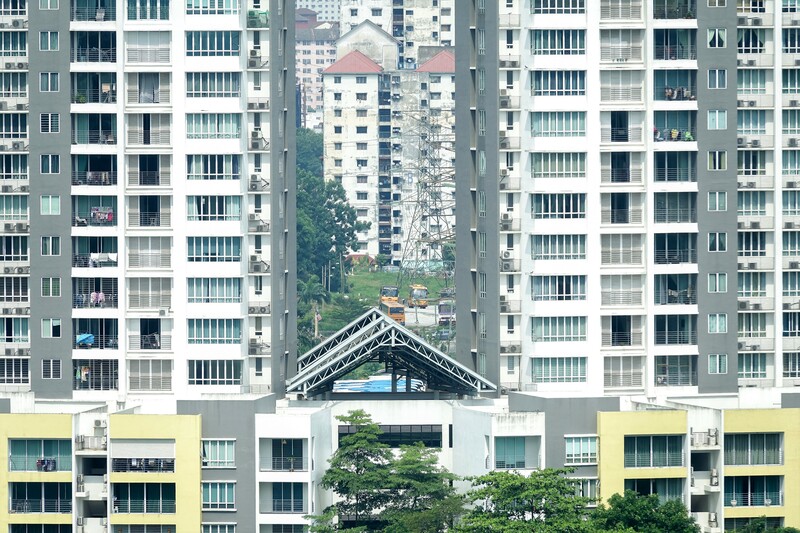 The condominium’s strong property fundamentals in terms of concept, sizing of units, affordable pricing and location is a big reason for its demand and hence, its value growth. One could easily get a spacious 3 bedroom apartment for roughly RM300,000, making it perfect for young couples and families. Le Renaissance may be old but it is well-maintained, in fact, it recently just received a new coat of paint. Security is great too, where each floor could only be accessed via an electronic access card. Its low-density feature is further enhanced by a green and tranquil environment – the condominium is built at the top of a hill. The building’s location is another unique selling point – Not only is Le Renaissance situated just a kilometre away from the Seremban Toll Plaza (PLUS Highway) but it is at the epicentre of various conveniences such as Seremban Gateway (900m), Palm Mall (1km), Seremban Gateway (900m), TESCO Extra (2.7km), AEON Jusco Seremban 2 (3.2km), Terminal 1 Shopping Centre (3.6 km) and KPJ Seremban Specialist Hospital (1.4km). Besides that, a few educational institutions are also within easy reach; these include St.Paul’s Institution, SMK Puteri, SK Puteri and SMK King George V while the Seremban business centre is just 10 minutes away, offering residents easy access to banks, eateries, clinics and minimarts. Address: Jalan Aman, Taman Skudai Baru, 81100, Johor. Units: 8 blocks (5 storey towers); 800 – 1,100 sq ft.
Facilities: Swimming pool, mini market, nursery, playground, wading pool, covered car park, barbecue area and 24-hour security. At first glance, Skudai Villa does not appear to be very impressive, its exterior looks run-down and the building has not aged well. Nevertheless, it commands an above average median PSF at RM309. 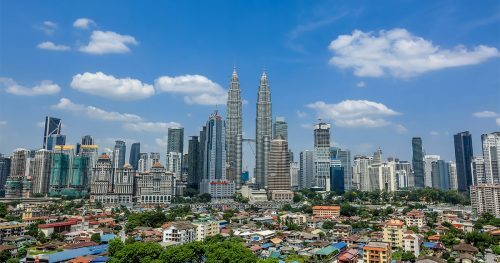 The property’s steady growth in value could only be attributed to the spillover effect from the surrounding newer developments such as Taman Mutiara Rini as well as its strategic location. A long list of shopping conveniences can be found within an 8km radius; these include AEON Taman Universiti, KIP mart, Giant Hypermarket Taman Nusa Bestari, U Mall, Skudai Parade, The Store, Sutera Mall and Bestmart. Not to mention, numerous hot spots – Legoland Malaysia, Sanrio Hello Kitty Town, Johor Premium Outlets and Universiti Teknologi Malaysia (UTM); are all within a 20-minute drive away from the development. Address: Jalan Wan Alwi, Tabuan Jaya, 93350, Sarawak. Facilities: Swimming pool, fun pool, gymnasium, steam room & Jacuzzi, TV room & function room, children playground, cafeteria & library, 24-hour security, landscaped garden and jogging track. Jazz Suites is the outlier of the pack – where the other 4 winners were condominiums built with family living or long-term tenancy in mind, Jazz Suites has certain variables which make it perfect as a short-term rental accommodation. Thus, it is unsurprising to see why a considerable number of units are being leased out across popular accommodation/vacation rental portals – namely Airbnb, Booking.com and Agoda. It is also interesting to note the area’s overall performance. At 8% growth Y-O-Y, Kuching’s condominiums are the only ones which recorded a price appreciation which is above (an optimal) market’s average of 5-6%. 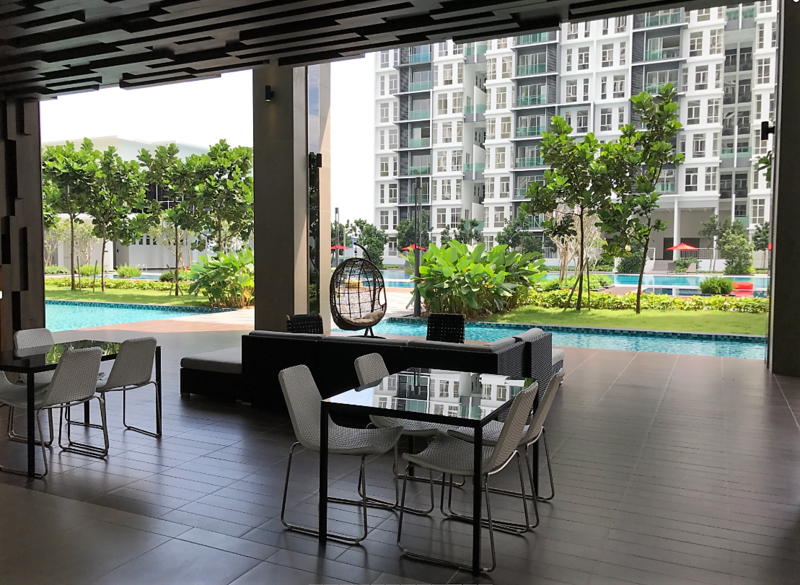 Situated right in the city centre and built right above Vivacity Megamall, this brand-new condominium is enjoying the spillover effects from being connected to reputedly the biggest and most popular mall in Kuching. The huge shopping centre houses over 300 retail brands and offers a plethora of dining, shopping and entertainment options. Moreover, most of the local hotspots are within easy reach – these include the Sarawak Museum, Kuching Waterfront Bazaar, Kuching Esplanade, King Centre Commercial area, Semenggoh Nature Reserve and the Bako National Park. Tourists aside, Jazz Suites is optimal for business travellers too; the Kuching Airport is less than 15 minutes away while the Borneo Convention Centre is roughly 8km away. Jazz Suites’ list of comprehensive facilities serves as an added edge; a quick check of the reviews available online reveals that it is a hit with families on vacation and travellers alike. Its location is strategic to boot with various landmarks located within a 5km radius. These include educational institutions such as Swinburne University, Sunway College and Segi College as well as medical amenities like Borneo Medical Centre and Kuching Specialist Hospital. Therefore, Jazz Suites’ tenant potential is not limited to just travellers, but would indefinitely attract single working professionals, young couples and students as well. Check out Brickz.my to filter accordingly and check to see how a project is performing in comparison to the area. Find out how timely market data can empower your property purchasing decision here. 1) Condominiums were selected to represent the high-rise residential category as this product was the most transacted property amongst Malaysian homebuyers in 2018. The categories of residential projects are determined by Brickz.my, with data obtained from JPPH. Some residential projects, which bear the word “Apartments” in their names are recategorized to the condominium category as these buildings fit the category requirements such as the existence of a swimming pool and/or clubhouse, building condition, etc. 2) The data system from JPPH officially records a property transaction once the stamp duty for the Sales and Purchase Agreement is paid, hence why the review period ended in October 2018, as the more recent data from JPPH has not been released yet. Analytics is based on the data available at the date of publication and may be subject to revision as and when more data becomes available. 3) The median sales price quoted for each project are the latest figures obtained from brickz.my. DISCLAIMER: The opinions stated in the article is not in any form an endorsement or recommendation by iProperty.com. Readers are encouraged to seek independent advice prior to making any investments. Brickz.my is an independent property website. It is not a property valuator, and cannot give direct property valuation. You should not rely on any of this content without first seeking financial advice from a professionally qualified expert. The content on www.brickz.my is provided “as is” for general information purposes only.